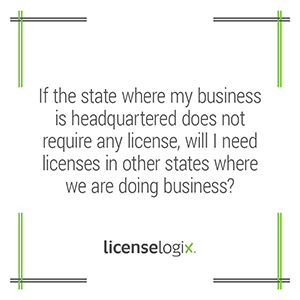 Will I require business licenses in other states if my own does not require a license? Yes, this is possible. The laws governing licensing are generally state and local specific so businesses should not assume they are not required to have a license in one jurisdiction simply because their home state, city or county does not require a license.